... asking you to follow on Bloglovin' but since I've just hit 700 GFC followers (which is crazy), I just wanted to remind you all that you can also follow me on Bloglovin' too. I also just wanted to mention that as far as I've heard, it's only Google Reader that will be leaving us on Monday. Google Reader is an RSS feed which allows people to follow blogs they like, it is not the same as following a blog through GFC. Based on this, I don't think that the GFC widget, in the sidebar of most of our favourite blogs, will be disappearing - so do not fear. However, I am not certain whether the Reading List present on your Blogger dashboard is powered by, or linked to, Google Reader. So we'll have to see on Monday whether that's still there! That is the only downside for me (if it happens) of Google Reader closing. You will still have followers, but they may not be able to see your posts through the traditional reading list any more. If this does happen then you can just import the blogs you follow through GFC onto Bloglovin'. 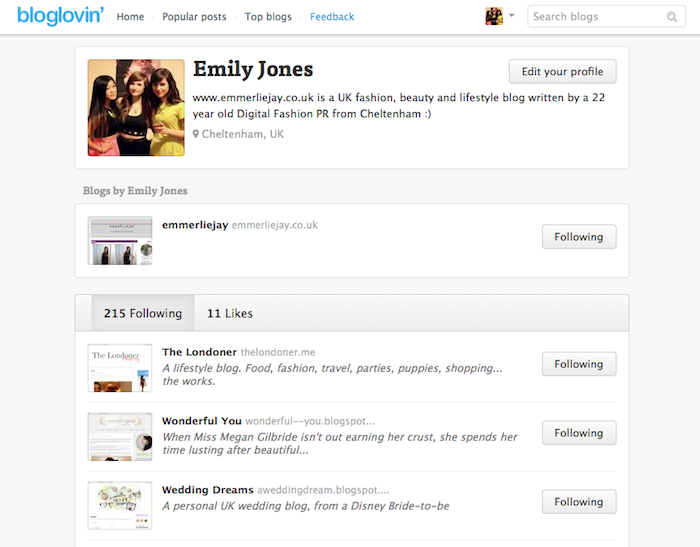 Just go to your settings on Bloglovin', scroll all the way to the bottom and click 'import blogs'. I have already done this and I'm getting to grips with reading blogs through there... just in case! HD Brows have been long known for their professional brow treatments and products but I have to admit that I wasn't familiar with the rest of their products. HD Brows actually create a range of other products, from foundations and blushers like above to bronzers, makeup brushes and more. I received the powder foundation in the lightest shade (01), because I am pale as the moon, but the range provides 6 shades in total. The product is a very fine powder that is completely soft and smooth to the touch. I have chosen to wear this as a setting powder over BB cream, however it could easily be used on it's own. Being a compact mineral foundation, the product can be built and built on the skin until you've achieved the desired coverage. This is a great multi-use product, as a light setting powder or a heavier coverage on it's own and it's so easy to blend onto the skin using a brush. The blusher is the perfect dusty/burnt rose shade, my first choice colour for daytime wear. My MAC mineralise blusher in 'Dainty' has just run out, so I think this HD Brows product will quickly become it's replacement! Same as the foundation, it is an incredibly smooth and soft product making it so easy to seamlessly blend on top of the foundation. The colour can again be built up gradually, until you reach your preferred shade. The blusher comes with a round sponge applicator which I find slightly odd, but it's my personal preference to use brushes for my makeup rather than sponges, so this might be a great bonus for the product for some people. HD Brows have proven that they're not just good at eyebrows with these products, I'm really impressed with the quality and also the lasting power. The powder keeps my skin looking matte all day long and the blusher stays put just as long. Have you ever tried any of the HD Brows products? Did you know they had branched out from eyebrows? Confessions of A Blogger - I saw this little tag on Michelle's blog the other day and thought I would have a go myself. My blog has been very focused on reviews, swatches and recipes etc recently, so I wanted to get back to the personal style of writing I used when I first started my blog. I'm not a serious beauty or fashion writer, so I don't want to feel like I have to write my blog in that style! I started my current blog back on the 9th March 2012, so it's a little over 1 year old :) I didn't really know what I wanted to write about, I just wanted another little space on the internet to write my thoughts, experiences and get involved with a new community. I've been on many different online platforms in the past. I started off with using the internet for MSN, but quickly moved onto MySpace, Bebo, Piczo and of course Facebook (even though I was a die-hard MySpace fan, I never thought I'd fall into the Facebook trap... but look at me now). I have also had a tumblr account, which I attempted to use as a blog like this, but quickly fell into reblogging everything and anything. I did also have a previous blogspot blog when I was around 16, however I'm not sure why but I didn't really get into it like I have with this blog. Maybe it's because I'm older now and do more interesting things? Or the fact that the only blogs I followed were high end, more professional style blogs - who knows! I wish I'd stuck at it as a 16 year old though and fallen into the blogging community back then. This time around, I had just started working in a digital marketing agency in a job role that dealt directly with bloggers, so being exposed to so many gorgeous blogs every day made me want to start my own up again. 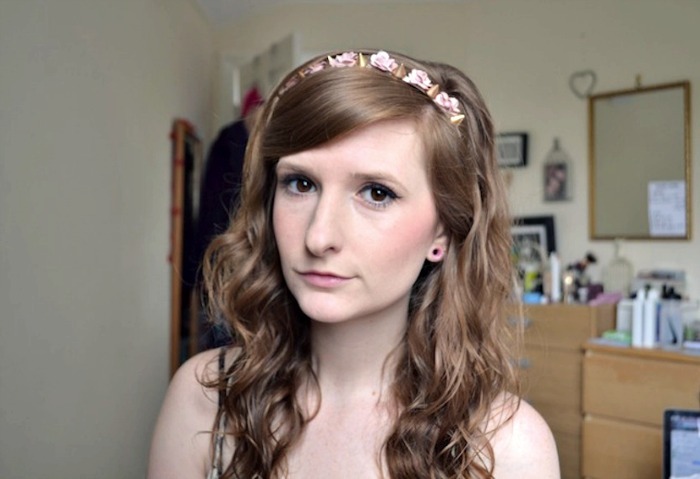 Bloggers were all so lovely to email too, that I wanted to get involved myself! You have the joy of being able to read my first post here. As I had read so many blogs prior to starting my own, I had a fairly good idea that I wanted to start off with a small introduction... but then the following posts just fell into a cringey mess haha. My biggest challenge has been keeping up with posting. I went through one manically busy stage of life and my posts went down to one per week, if that. That is something that I find difficult, but I also sometimes struggle with what to post. I find that sometimes I'm posting things (usually reviews) just for the sake of posting, rather than that I enjoy it or think my readers would be interested in it. I really do struggle to judge what I think people want to see and that's quite challenging sometimes. Things could be very different in one year's time, however I hope that my blog has a strong direction and I've still managed to interest my readers enough to stick with me! I also hope that I can branch out from fashion and beauty slightly, I'm not sure what to yet though. Any ideas on a postcard, thanks! I get discouraged when a post I've worked hard on, or I think looks good, doesn't get as many views or comments as a 'regular' post of mine. I know this is probably silly, but hopefully some people can relate! I'm mainly inspired by my interest in online/digital media and marketing. Having a blog and following a variety of different styles of blogs, allows me to keep up with what's happening. I don't think you can have a career in an industry, unless you're involved in it in every way you possibly can. It's crazy to think that I finished University over a year ago now. The whole 3 years at Uni absolutely flew by, let alone the time I've been working since finishing! I know lots of people are starting to think about graduation and what to wear, so I thought I'd share some styles that were popular with my class, in case anyone is wondering what type of dress to go for, or how smart you should be. My uni was weird and only held graduation in November, despite my course finishing uni in early May, so last year I featured another graduation wishlist here. With graduation, you need to consider how your dress is going to look with your gown - find out what colour your gown will be in advance and make sure there's no clashing colours there! Graduation is a relatively smart occasion, but you can get away with wearing the slightly more casual skater style dresses. However, I would recommend going with a skater style made from a slightly heavier material, or with added embellishment or detailing to make it stand out for the occasion. Dresses similar to the skater style dresses above were popular at my graduation in November, as were the V-neck, wrap style dresses like number 7. However, this year I feel that midi-dresses like number 8 will be popular at graduations, the shape of the dress will work really well with the gown and they always look effortlessly glamorous and smart! I wanted to include a 'naked' pancake picture to prove I didn't burn them (I definitely burnt the first batch I made) ha! I have never made or eaten American style pancakes before, I'm more of a tradition lemon and sugar thin pancake kinda girl, so this was something new to me. Since I've become addicted to Pinterest, I'm constantly seeing amazing food images including some amazing looking pancakes so I thought I'd give it a try! This recipe makes about 10 pancakes and I topped them with low fat natural yoghurt, some defrosted frozen summer fruits and a drizzle of honey. Combine the dry ingredients (flour, sugar, baking powder, salt, cinnamon and oats) in a bowl, then combine the wet ingredients (milk and egg) in a separate bowl or jug. Slowly add the milk and egg mixture into the dry ingredients, mixing with a whisk. Add a tiny amount of oil to a frying pan (I used a few sprays of fry-light), then drop a large tablespoon of the batter into the pan. You should be able to fit around 4 pancakes in one pan. Fry on a medium - high heat for 2/3 minutes, on one side. You should be able to see small bubbles form and burst on the top of the batter, once you can see this happening after about 2 minutes they're ready to turn. Then fry for a further 2 mins on the other side. Let me know if you try this recipe! Do you prefer American style or English pancakes? I know I'm on a massive festival blogging spree at the moment, but it's currently sunny while I'm writing this and I have lots of exciting festivals coming up so it's all I'm thinking about at the moment! I previously blogged about my festival hairstyle #1, and #2 will be coming up in the near future too, so I thought I'd post an outfit to match. I absolutely love this kimono from Boohoo, it's only £15 which I think is an absolute bargain! Kimonos are so in fashion at the moment, but I don't feel like they're that wearable with the English weather, so it might be worth picking up a cheaper one in case I don't wear it much. Pairing this kimono with denim shorts and a plain black top is one of my favourite festivals looks. Adding a vintage inspired leather rucksack, a straw hat and some big sunglasses would finish the outfit off nicely. UK festivals aren't always sunshine and warm weather, they're more often than not overcast and rainy (anyone who experienced creamfields last year will know what I mean). So baring this in mind, I will also be featuring a more practical festival outfit very soon, with more layers and probably some wellies too. I'm on a bit of a festival theme at the moment - apologies if you don't like this topic, but it's on my mind as I recently attended the first festival of this season yay! Festivals can be a pretty tricky place to have nice hair, especially towards the end when you've slept in a tent for 2 nights without access to a shower or straighteners! I'm quite lucky that my hair doesn't really get greasy quickly, but I'm still never without a large can of Batiste at a festival. My hair is naturally curly, so for festivals I tend to wash it before I go and leave it to dry naturally with some curl cream or salt spray. I take the salt spray product along with me and in the mornings refresh my curls with a bit of water and some more spray to give them some more bounce. Batiste is also essential for roots, along with grips for any stray fringes and, of course, some floral accessories to get in the festival mood! 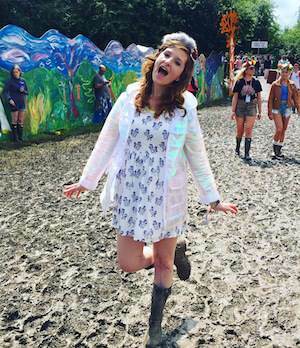 I love fashion and beauty, but I also absolutely love camping for a weekend and standing in muddy fields so I'm able to see a band I love, or even a band I've never heard of. Sometimes I feel this blog is too focused on one area of my life, so I'm trying to incorporate other elements too. As it's now June and technically summer is here, I thought I'd start with my favourite summer pastime - festivals. Josh and I have a frame full of our wristbands at home, a combination of festivals we've been to alone and ones we've been to together. Some of them are really tatty and gross, so it's not the most beautiful of frames but it holds so many memories for us. We might need to get another frame this year, or do some rearranging, to fit this years wristbands in too. With Josh's business we're lucky enough to get access to loads of festivals through Headphone Disco, which often means AAA/backstage/crew passes too which is always exciting. Just a reminder that my Warehouse denim jacket giveaway is still going on! 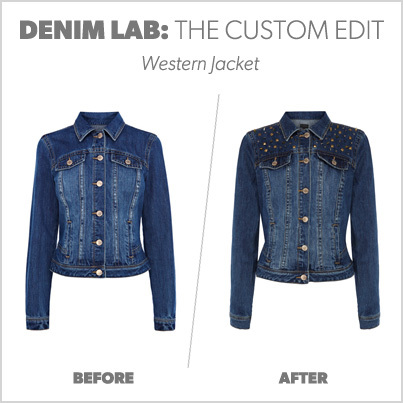 You could win this one-of-a-kind denim jacket from Warehouse, size 12, open to UK readers only. You can see more details on the original jacket (without the customisation) here.